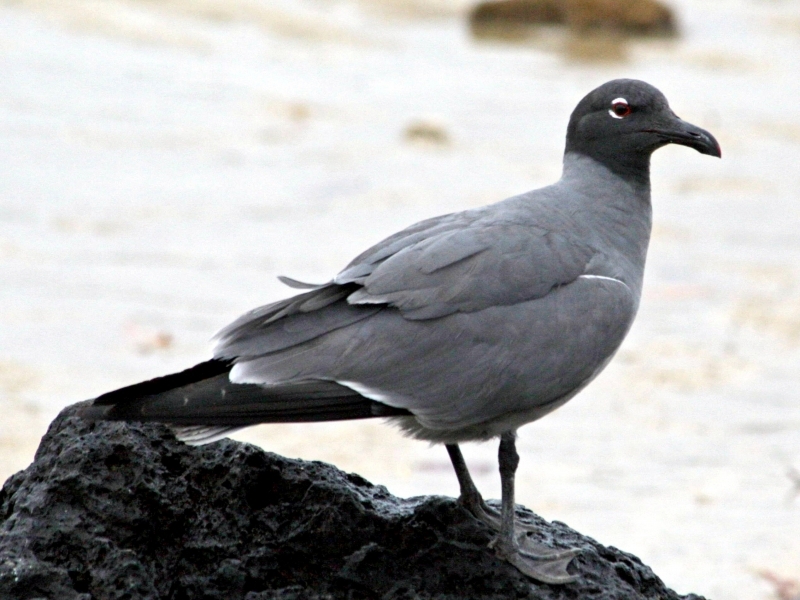 The Lava Gull also known as the Dusky Gull, is a medium-sized gull and a member of the “hooded gull” group. 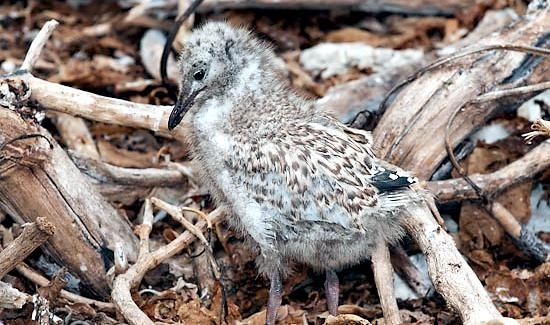 This species is the world’s rarest gull. 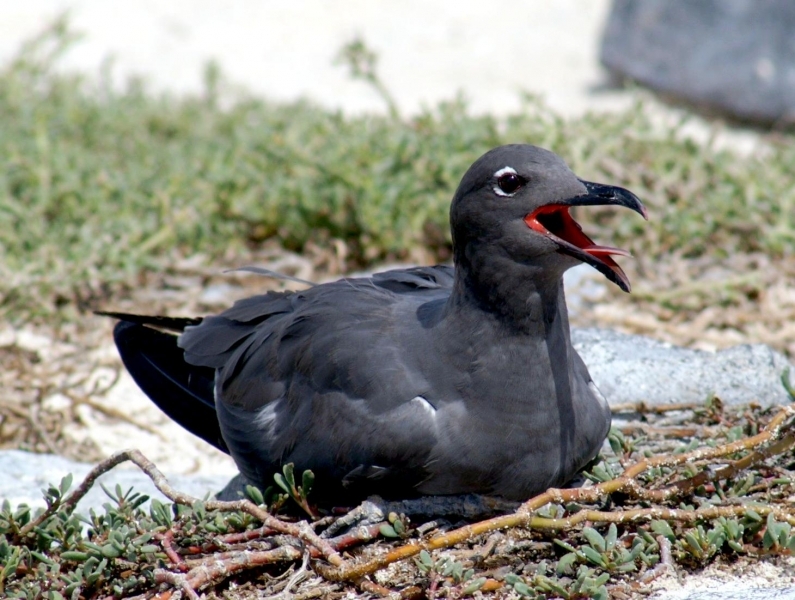 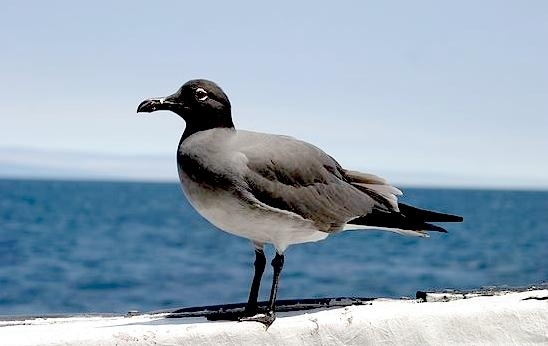 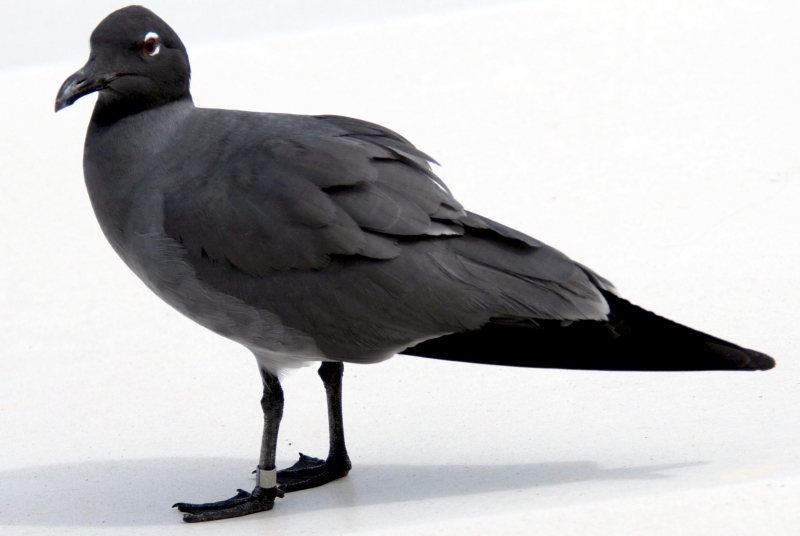 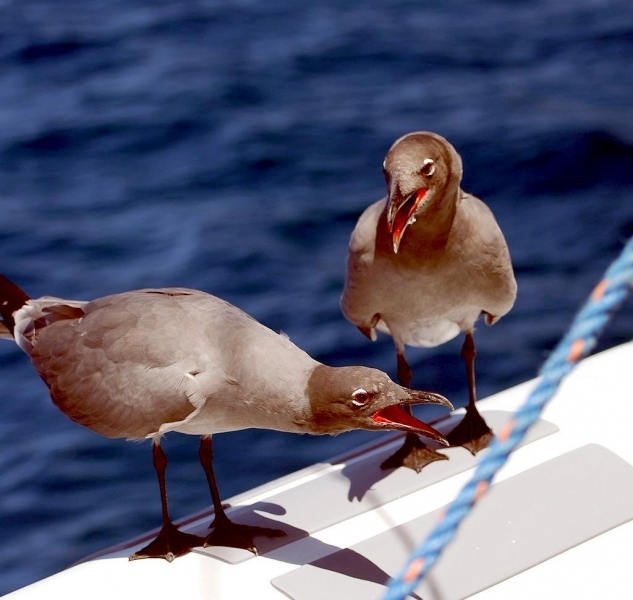 The Lava Gull is a large gull, probably related to the Laughing Gull. 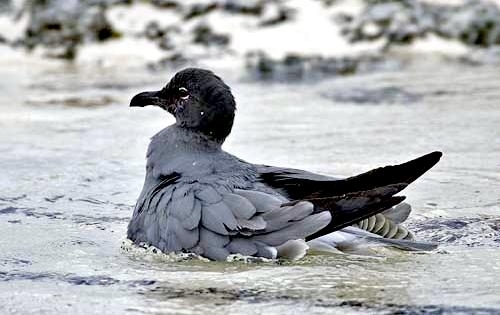 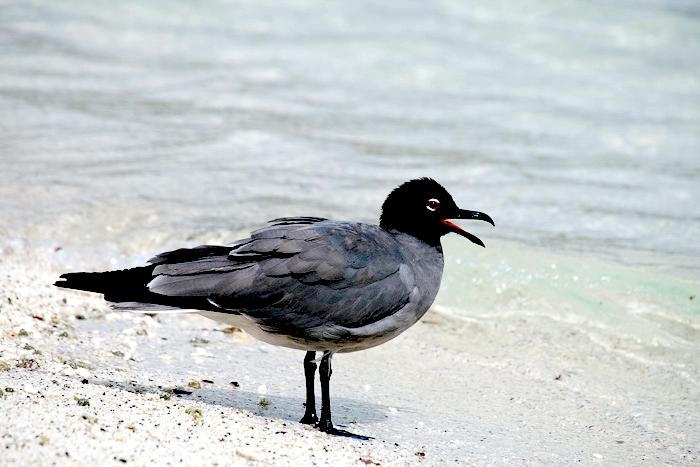 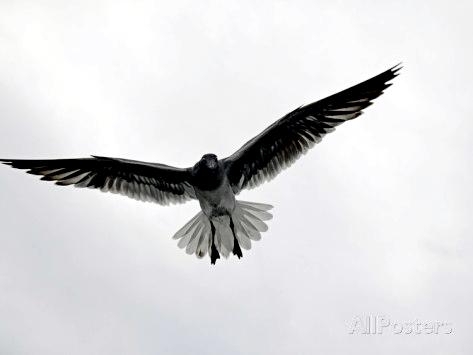 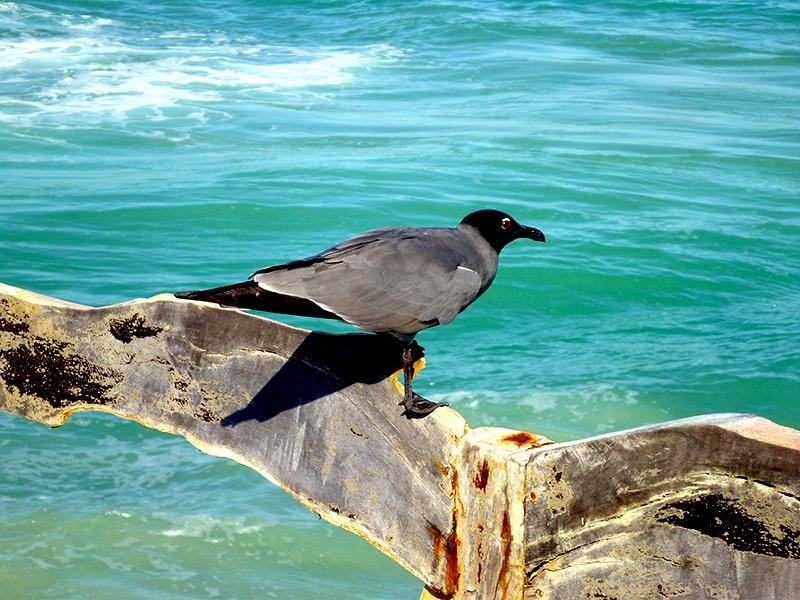 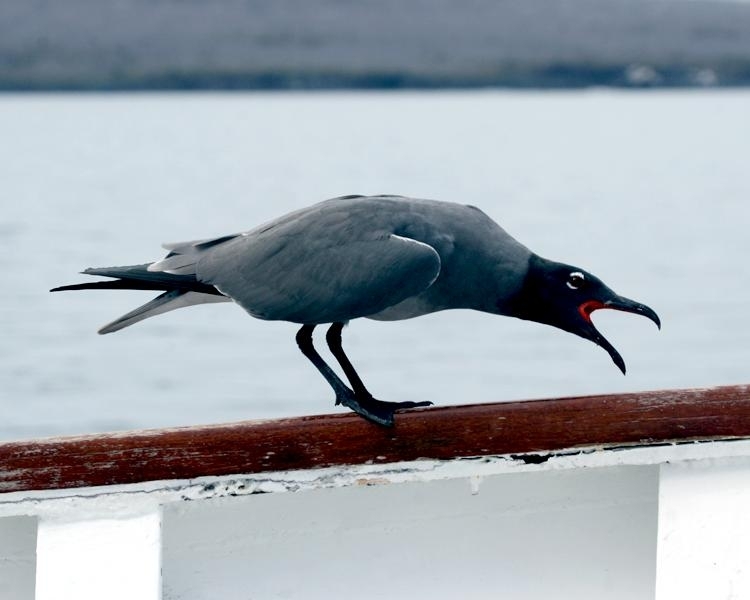 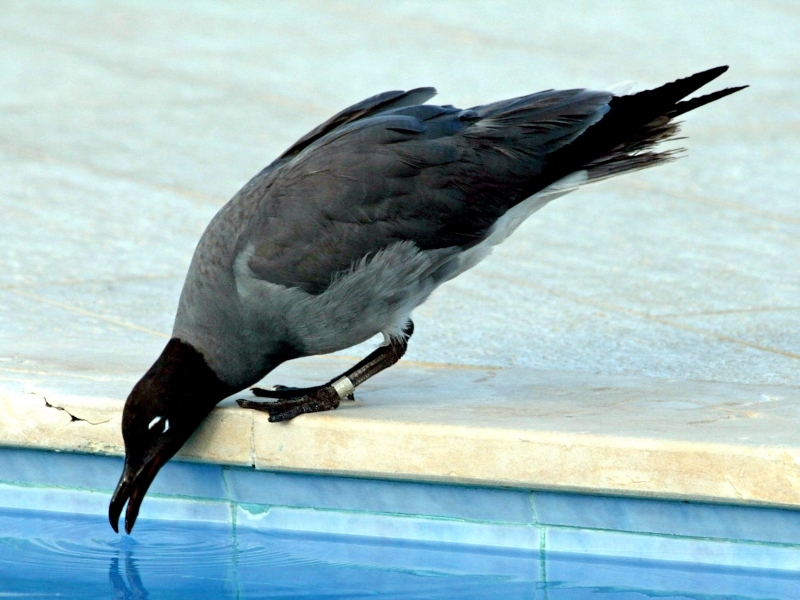 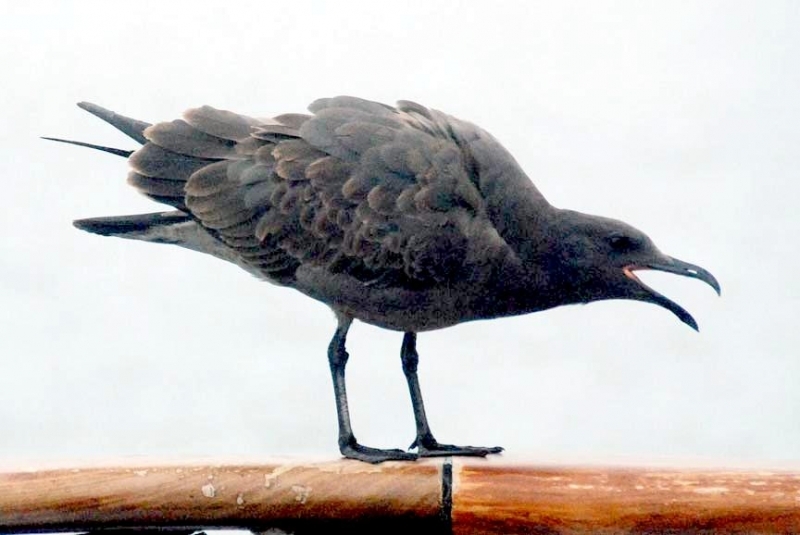 Adult Lava Gull characteristics are a black head, black wings and with a dark grey body and a paler grey belly. 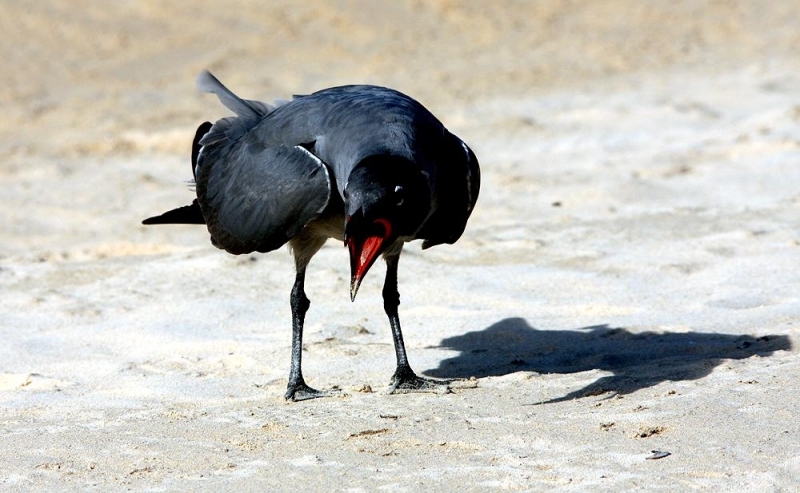 Their bill and legs are black and the inside of the mouth is scarlet. 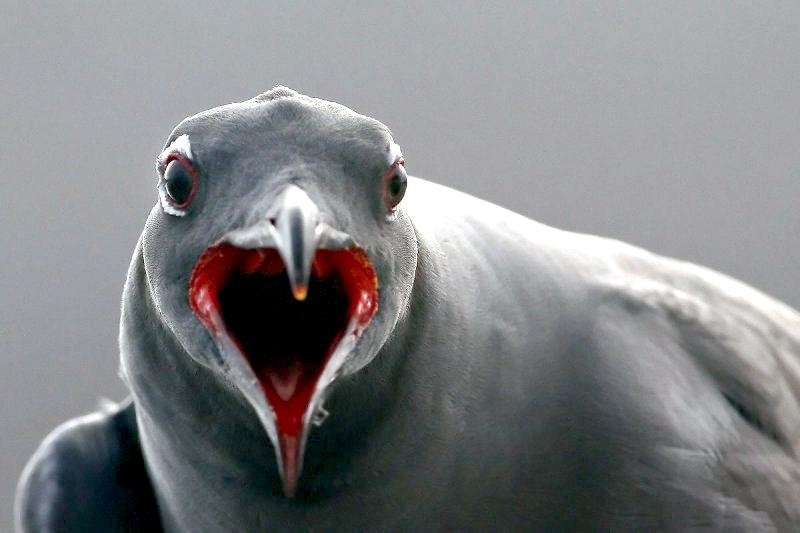 Lava Gulls are quite often seen as they frequently emit long raucous gull-like calls with their bills wide open. 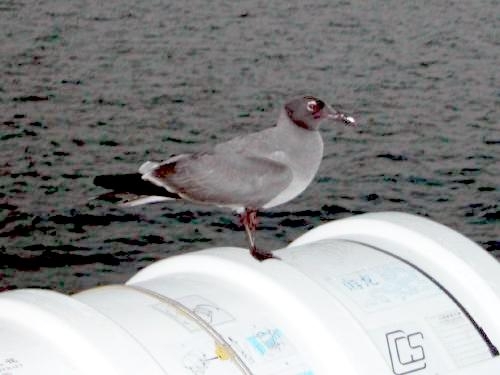 They have white upper and lower eyebrows, with red lids. 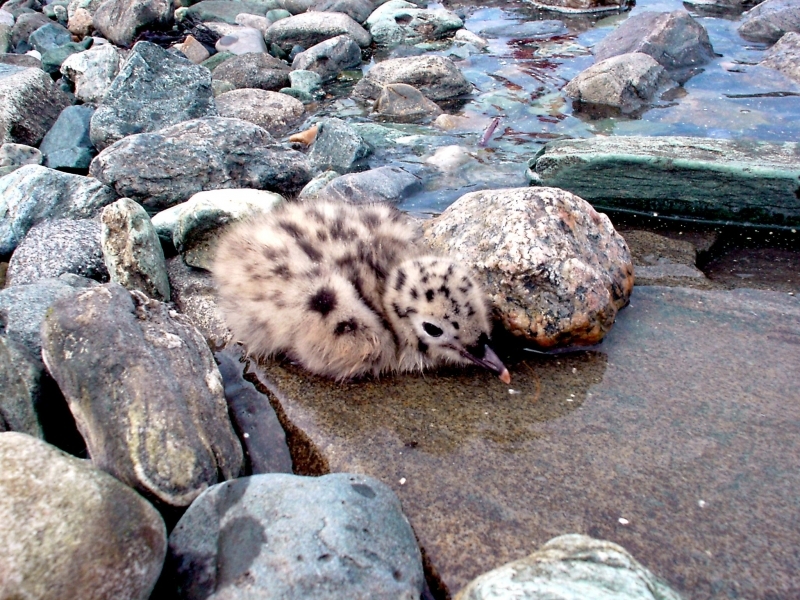 Young gulls are generally dark brown in color. 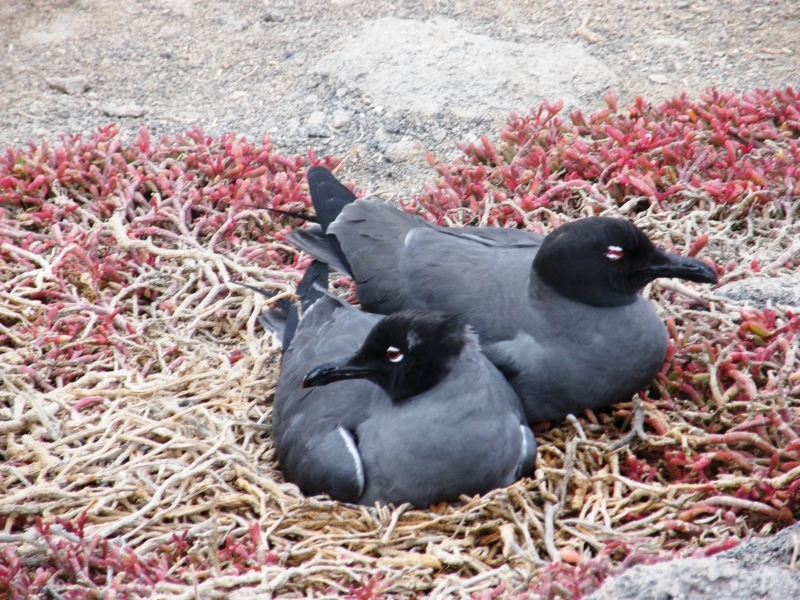 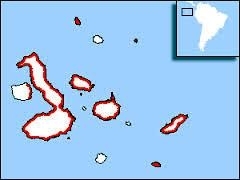 Lava Gulls are solitary nesters, laying two olive-colored and well-camouflaged eggs that take 30 days to incubate. 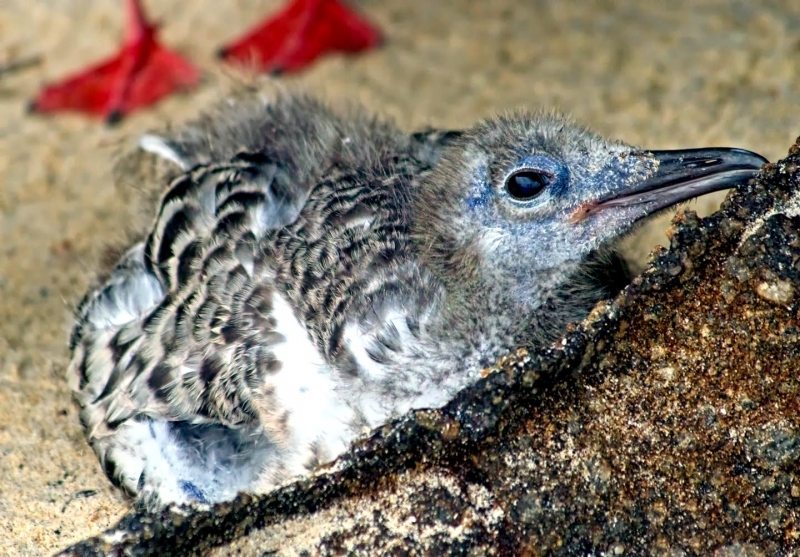 Young birds fledge at 60 days and are cared for by adults for a short period. 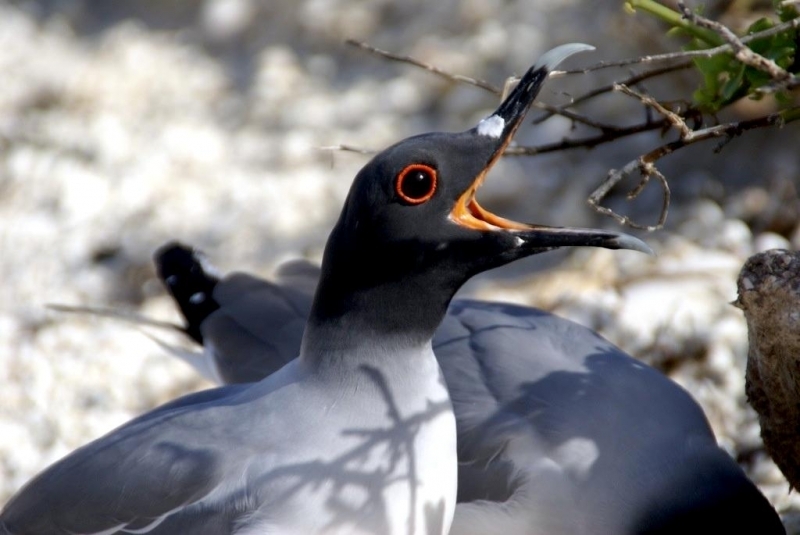 Lava Gulls are omnivores, generally scavenging or stealing from nests but they will also catch fish, small crustaceans and newly-hatched lizards, iguanas and turtles. 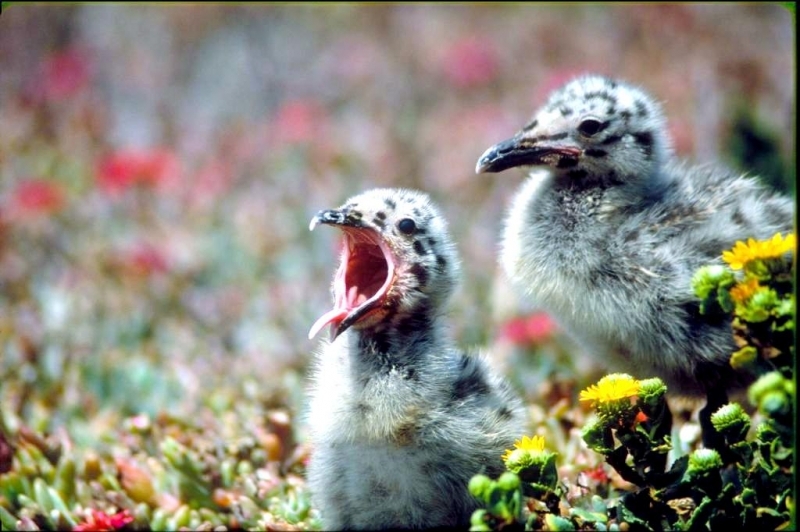 Being scavengers, young Lava Gulls are more naturally self-sufficient than some species with more specialized feeding habits. 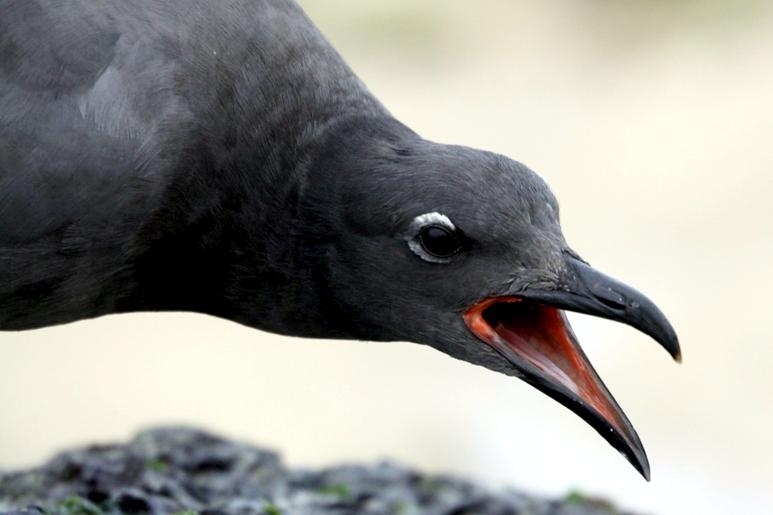 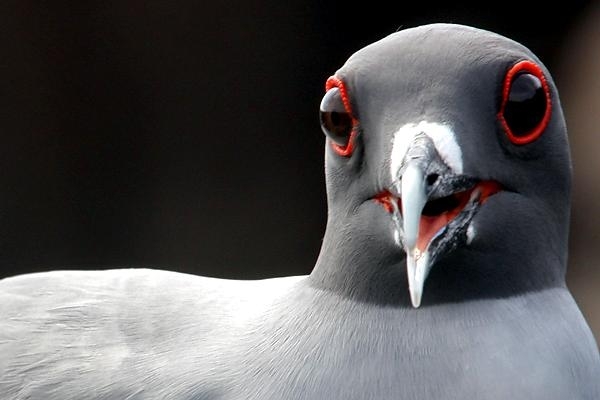 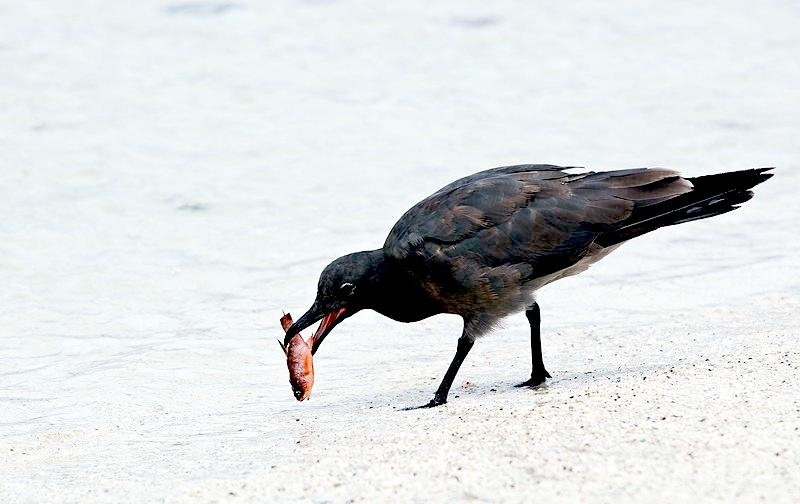 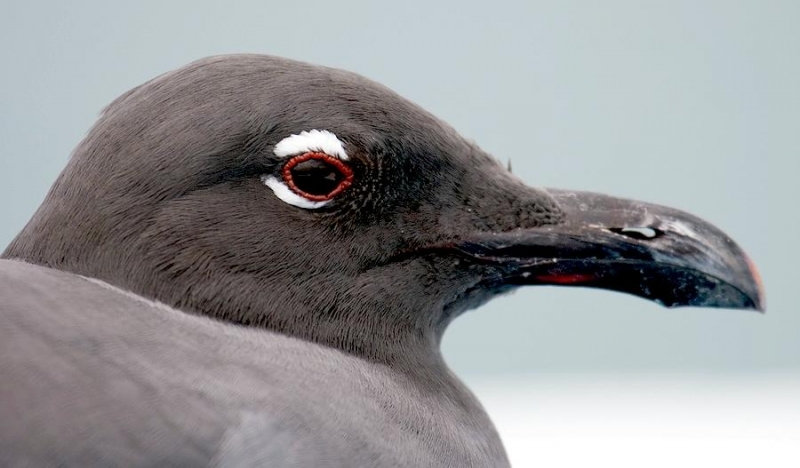 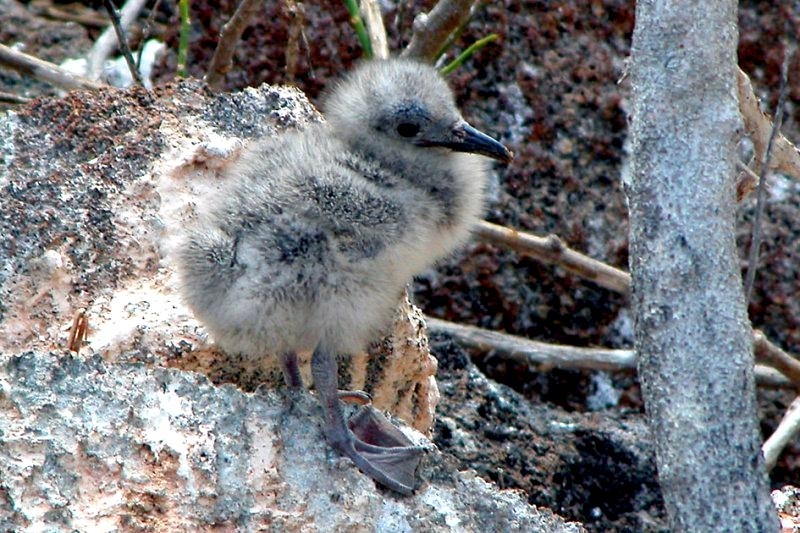 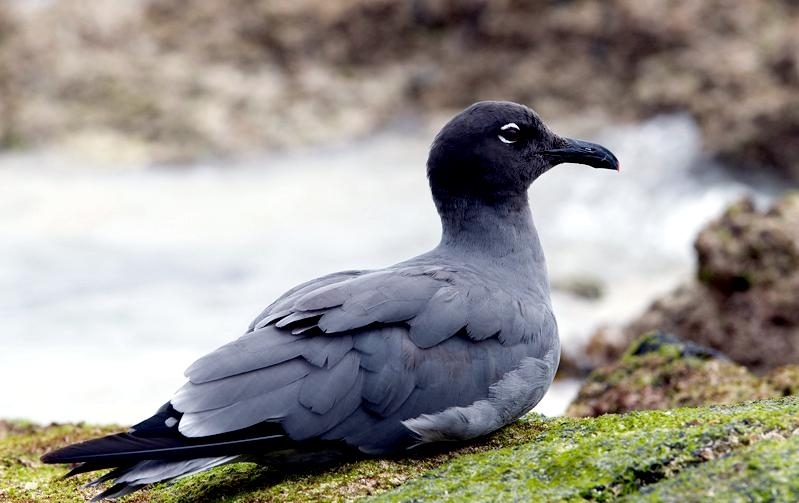 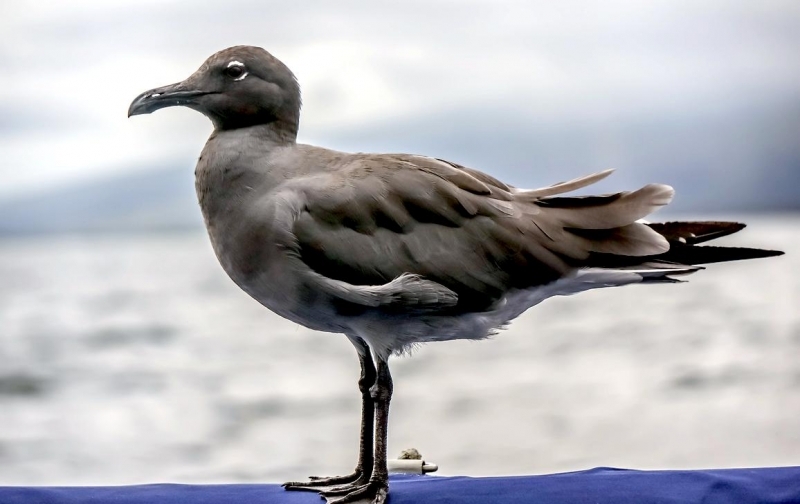 The Lava Gull is categorized as ‘vulnerable’ by the IUCN Red List because it exists in small numbers and though the population is stable, it faces numerous threats. 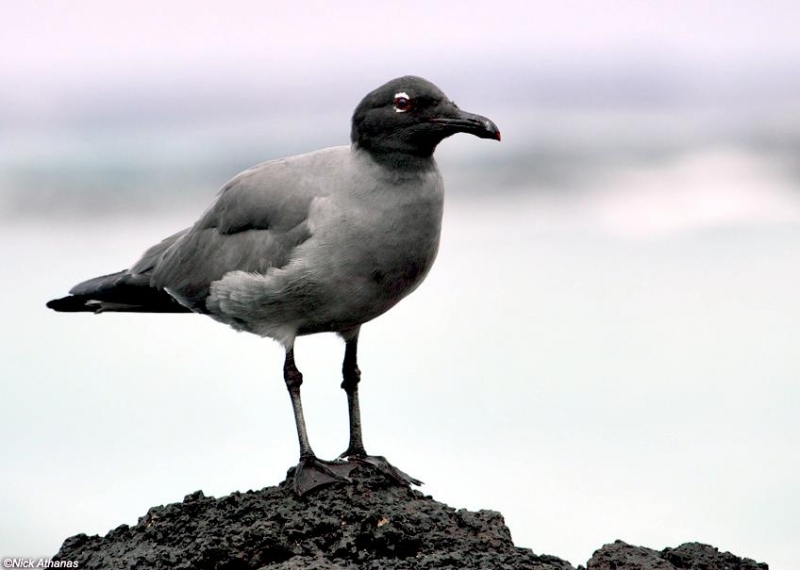 The Lava Gull is endemic to Galapágos Islands where only 300-400 pairs are living on all year round. 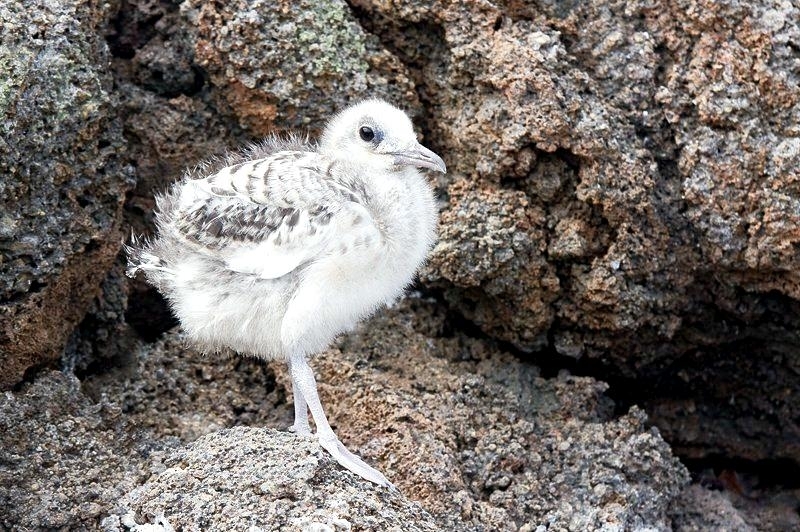 The name “lava” derives from the plumage color similar to the lava rocks of their preferred habitats. 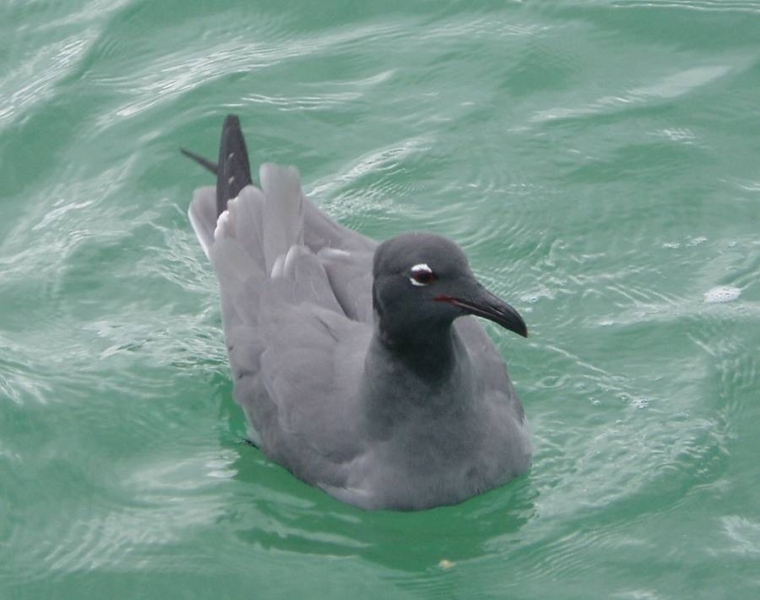 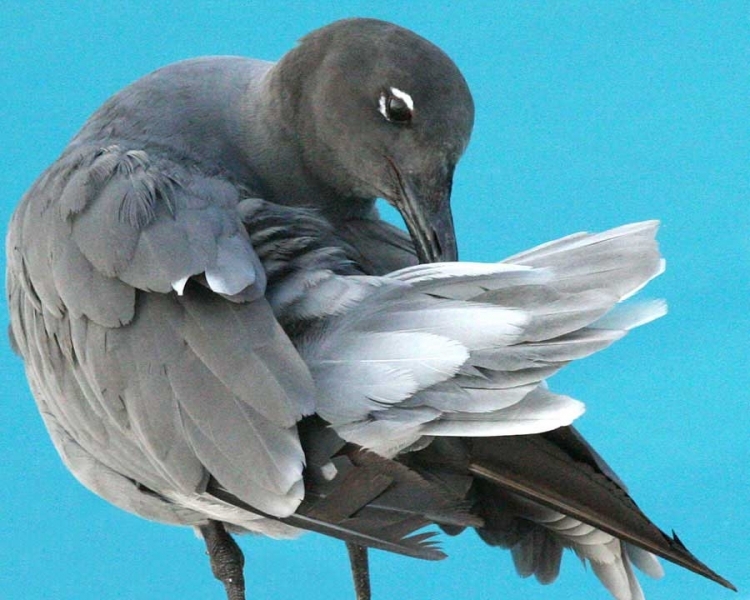 The adult has sooty-gray body with paler gray belly, whereas wings are darker gray with blackish primary-coverts and flight feathers. 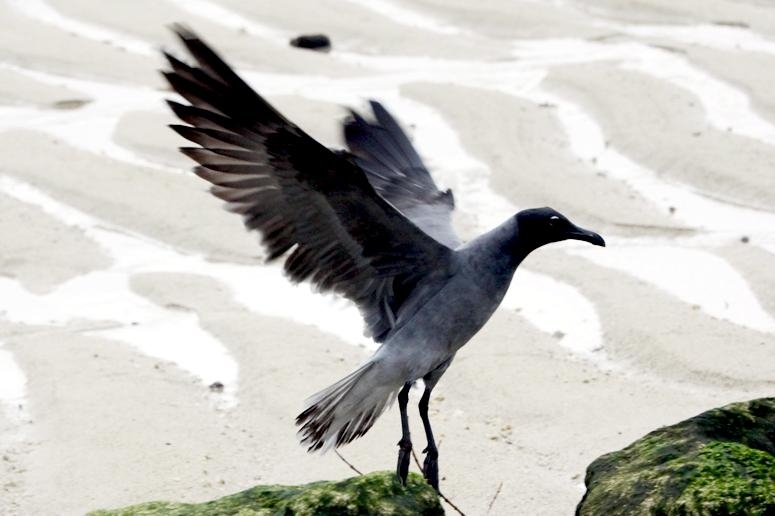 The tail is pale gray with darker central rectrices. 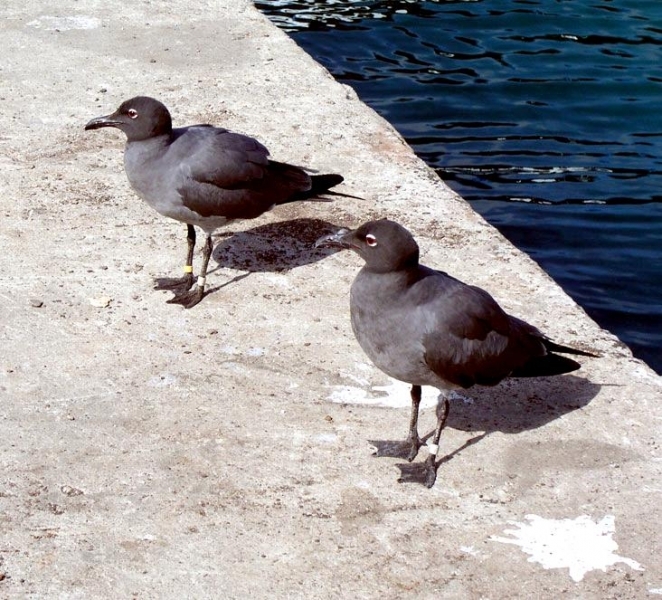 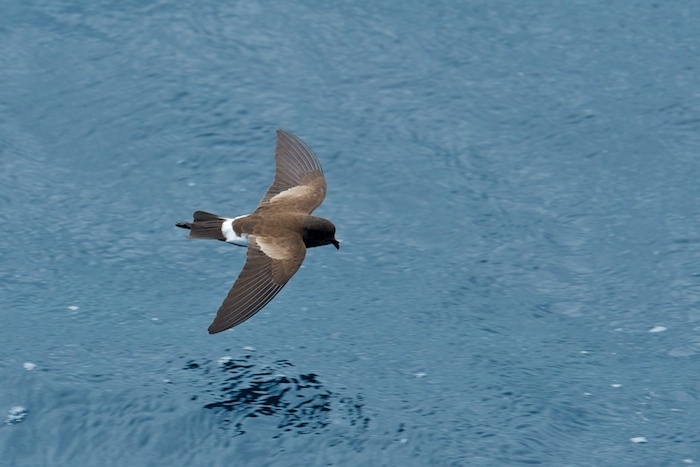 Upper & under-tail-coverts are whitish. 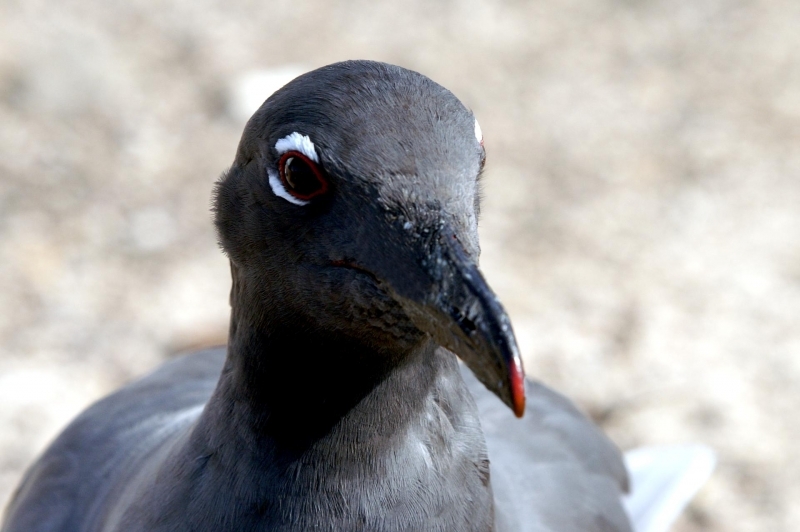 The head is blackish or sooty-brown and the white eyelids contrasting strongly against the dark head. 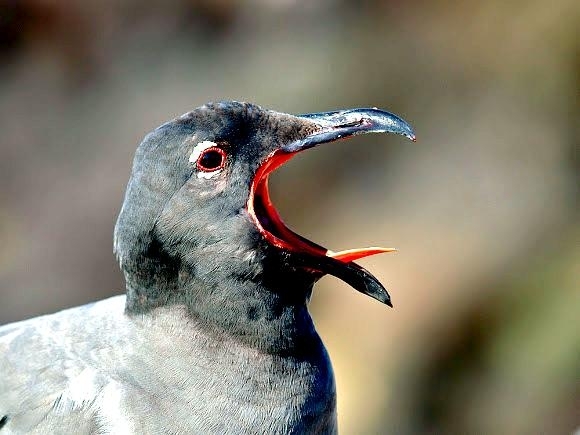 Inside of mouth is bright red with the a black-bill with sometimes red tinge at tip. 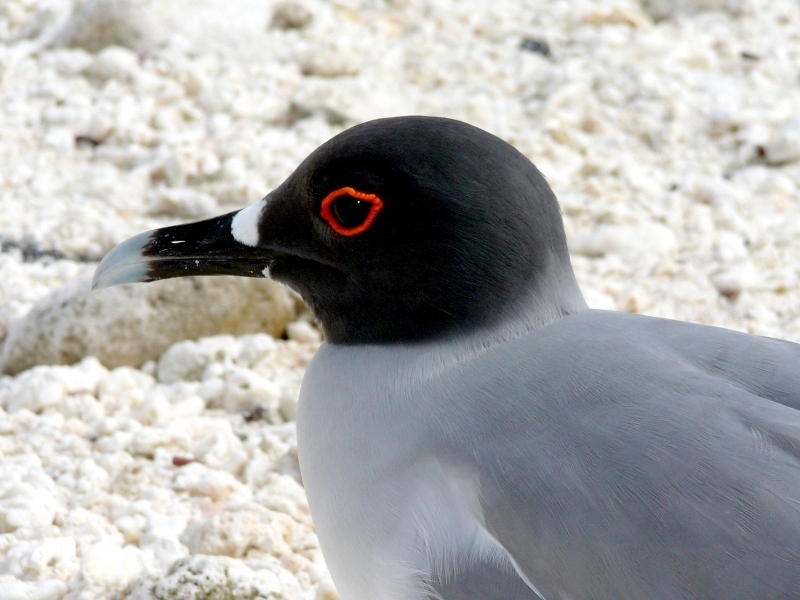 The eyes are dark brown with narrow red eye-ring. 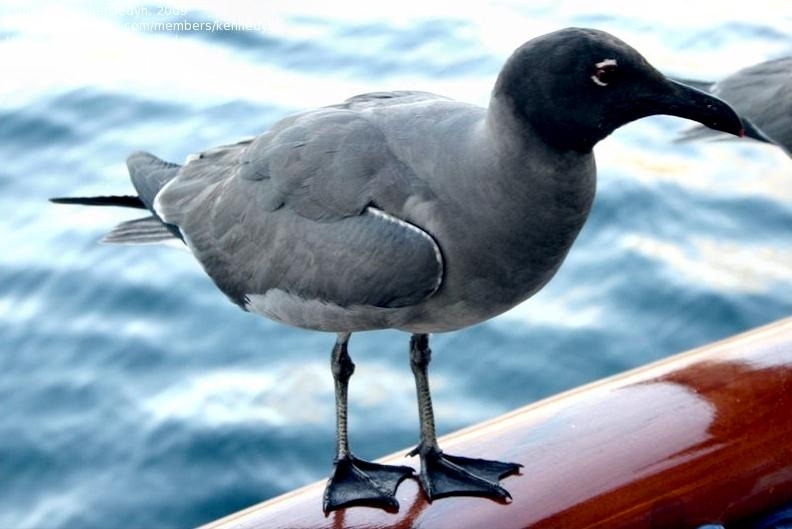 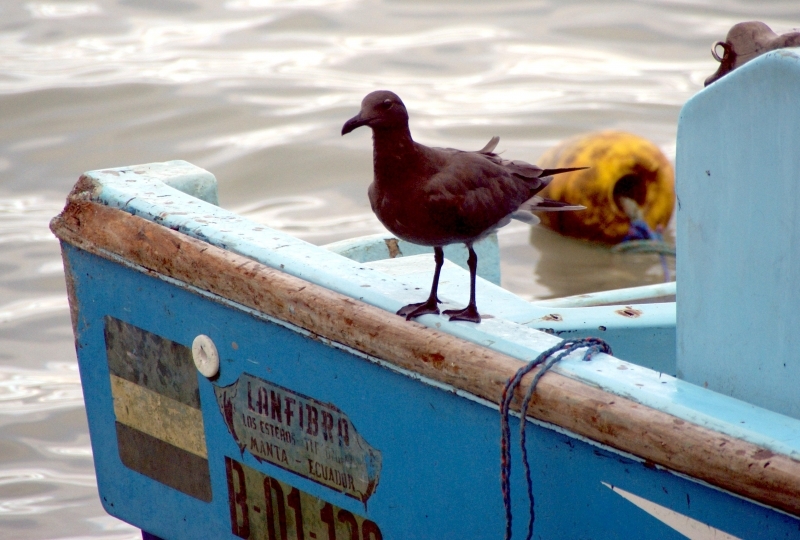 Legs and webbed feet are brownish or purplish-black. 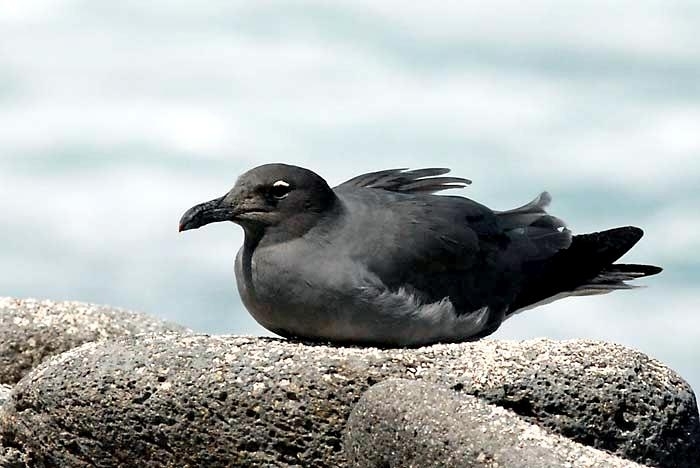 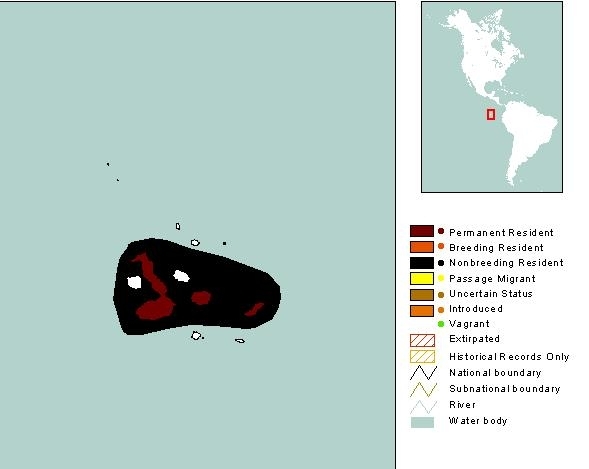 The Lava Gull is in endangered because of animals brought to the islands by humans. 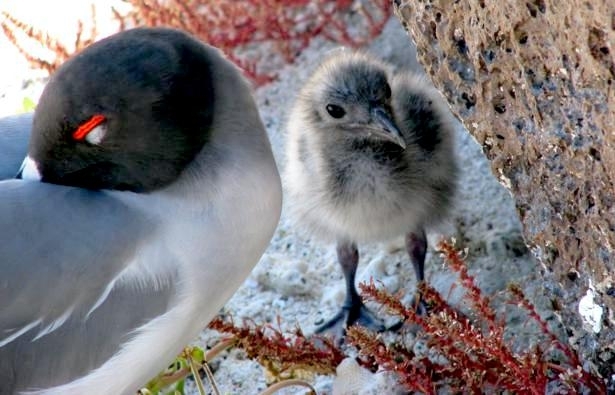 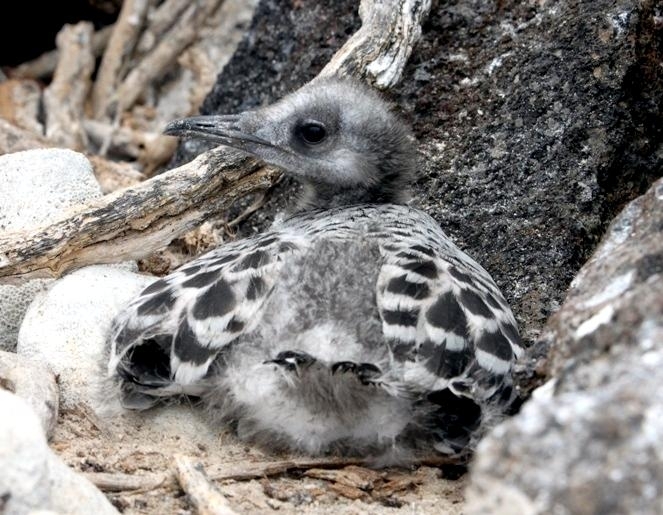 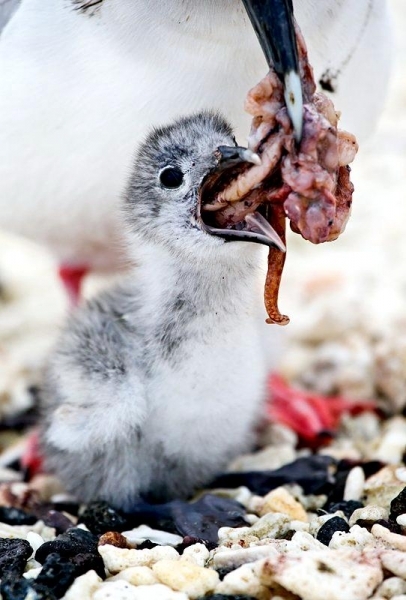 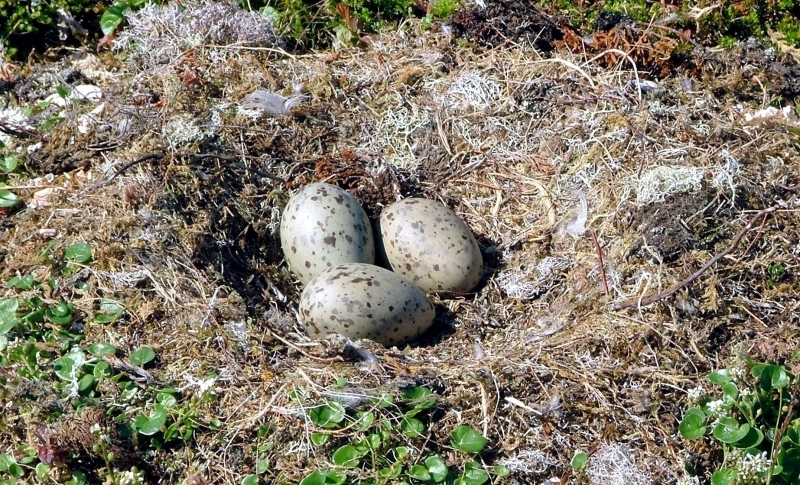 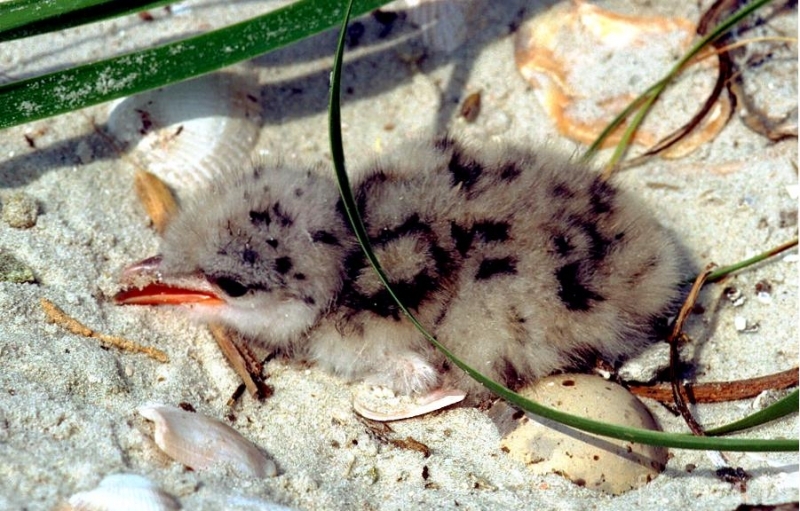 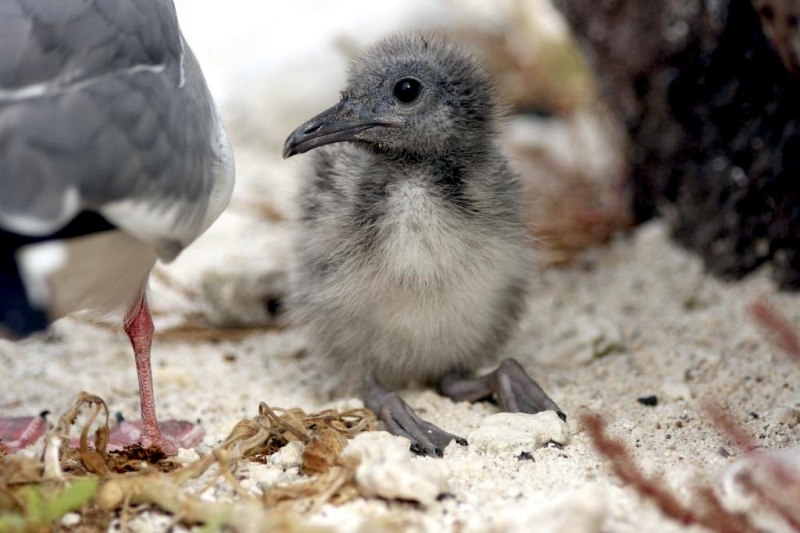 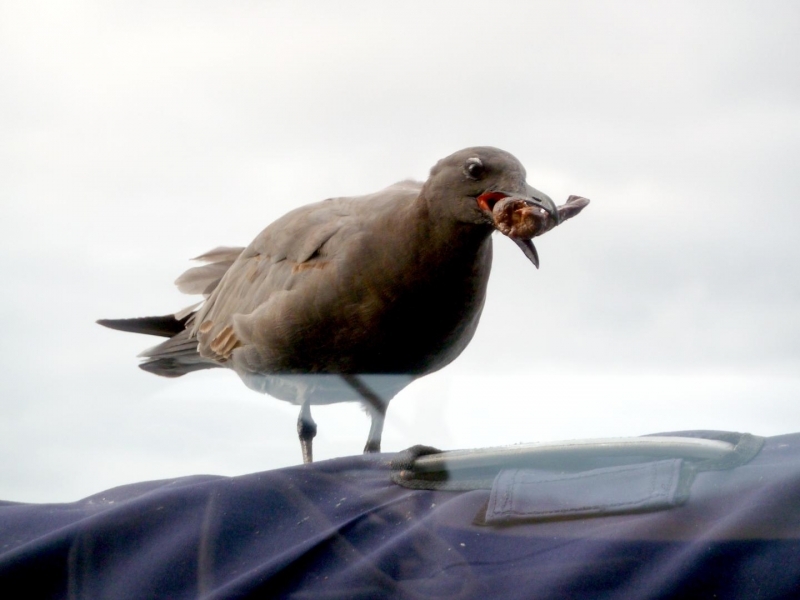 Eggs, chicks and sometimes even adult Lava Gulls fall prey to dogs, cats and pigs. 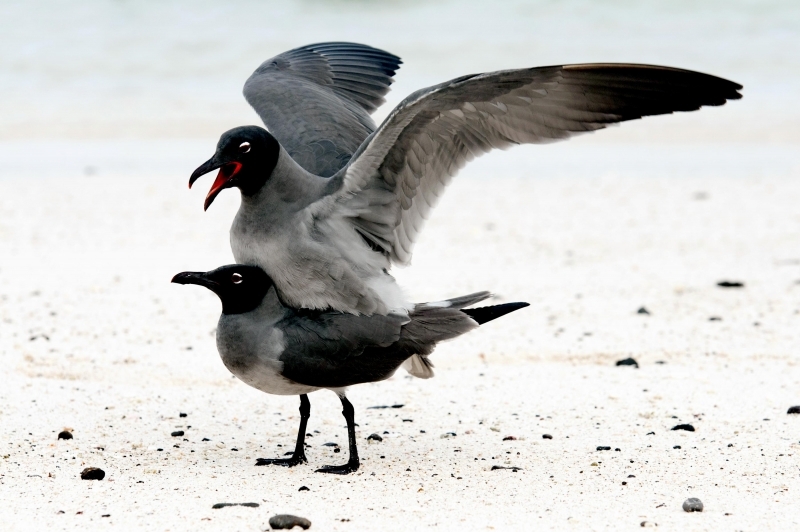 Because it evolved in an environment where there were no natural predators, the Lava Gull cannot defend itself well. 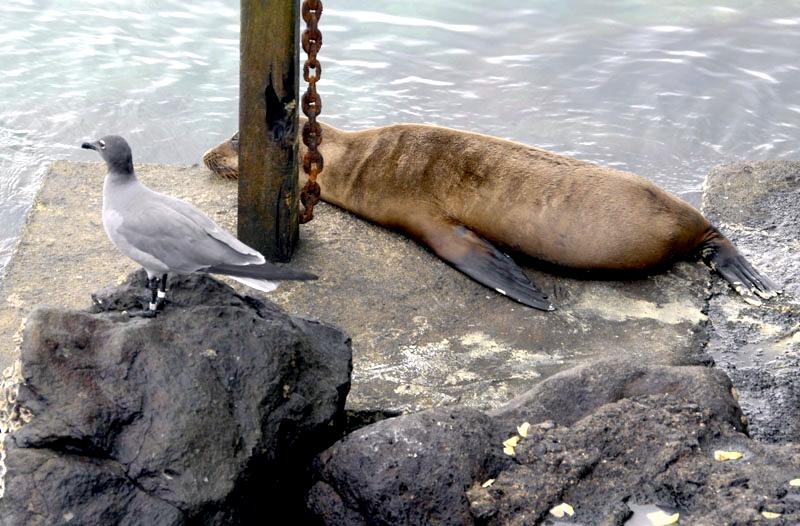 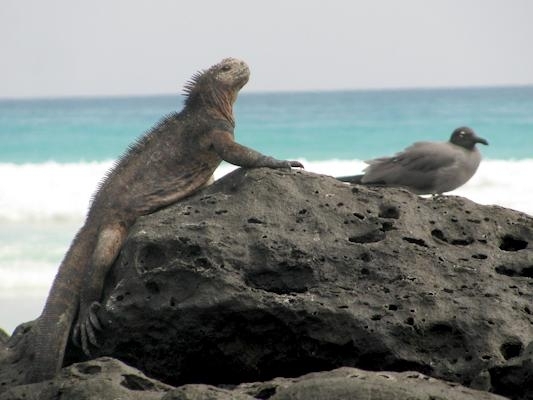 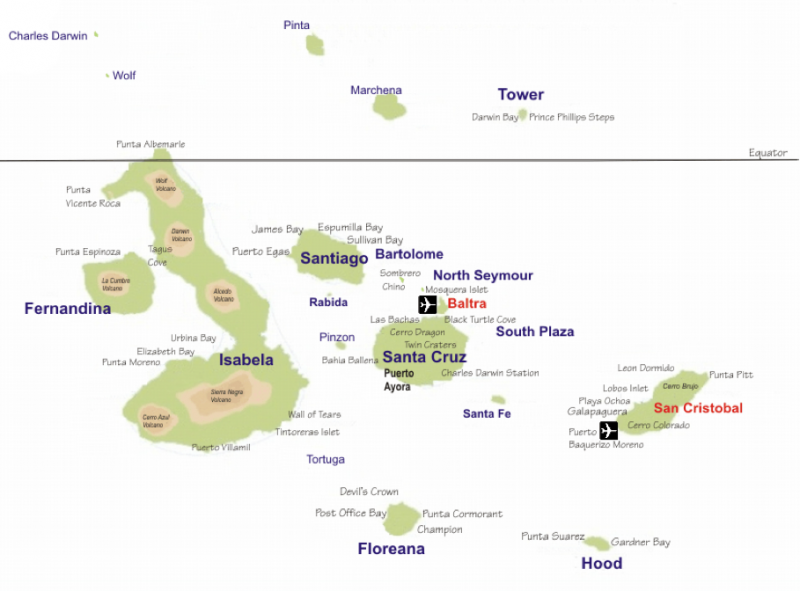 In the Galapágos Islands where wildlife has evolved in unique ways, there are many animals now in danger of extinction for the same reason.